"He was changing too fast. He was learning too much. They couldn't control him anymore." Words were allegedly spoken by JFK mistress, Mary Pinchot Meyer on 11/23/63. 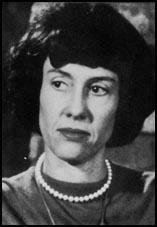 Mary was the ex-wife of CIA's Cord Meyer, Jr. She was assassinated a week after the release of the Warren Commission Report. Cord Meyer, Jr.: The only three time recipient of CIA Distinguished Service Award. 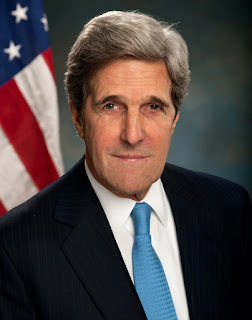 Scion of Cuban Sugar planters, Cord Meyer, Jr. was a veteran who founded the World Federalist Movement, who support the United Nations and a world government. Meyer was the husband of JFK's paramour Mary Pinchot Meyer, who he met through his Choat Academy schoolmate William Attwood. 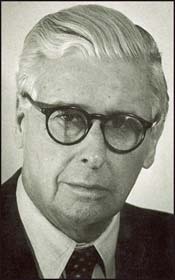 Meyer was a CIA official who for a time was head of the International Organizations Division. As a New York neighbor of Priscilla Johnson, a World Federalist he may have recruited her for CIA ops. Among those who were active with the World Federalists were Michael Paine's mother, Ruth Forbes Paine Young, who organized a World Federalists charity society ball in Philadelphia. Ruth Forbes Paine Young : Forbes joined the World Federalist Movement after the dropping of atomic bombs in 1945. Forbes was a member of the Massachusetts Forbes family, being the daughter of Ralph Emerson Forbes and Elise Cabot. She was a great-granddaughter of Ralph Waldo Emerson and a niece of William Cameron Forbes (Governor-General of the Philippines 1908 - 1913). Priscilla Livingston Johnson was born in Glen Cove, New York, on 19th July, 1928. 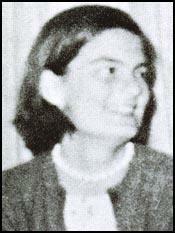 As a student she was a member of the United World Federalists, an organization run by Cord Meyer. William R. Greer : William Robert Greer (September 22, 1909 – February 23, 1985) was an agent of the U.S. Secret Service, best known for having driven President John F. Kennedy's presidential limousine in the motorcade through Dealey Plaza in Dallas on November 22, 1963, when the president was assassinated. Greer took a role close to Kennedy, and can be seen in several pictures with the Kennedy family. He chauffeured the president on many occasions. Like all agents involved, he has been the target of much speculation and criticism for his actions on that day. After working for over a decade as a chauffeur and servant to several wealthy families in the Boston and New York areas, including the Lodge family and several years with Franklin Q. Brown of Dobbs Ferry, NY. Henry Cabot Lodge Jr. : In the fall of 1952, Lodge found himself fighting in a tight race for re-election with John F. Kennedy, then a US Representative. His efforts in helping Eisenhower caused Lodge to neglect his own campaign. In addition, some of Taft's supporters in Massachusetts defected from Lodge to Kennedy campaign out of anger over Lodge's support of Eisenhower. In November 1952 Lodge was defeated by Kennedy; Lodge received 48.5% of the vote to Kennedy's 51.5%. It was neither the first nor the last time a Lodge faced a Kennedy in a Massachusetts election: in 1916 Henry Cabot Lodge had defeated Kennedy's grandfather John F. Fitzgerald for the same Senate seat, and Lodge's son,George, was defeated in his bid for the seat by Kennedy's brother Ted in the 1962 election for John F. Kennedy's unexpired term. George Cabot (senator): After studying at Harvard, Cabot went to sea. 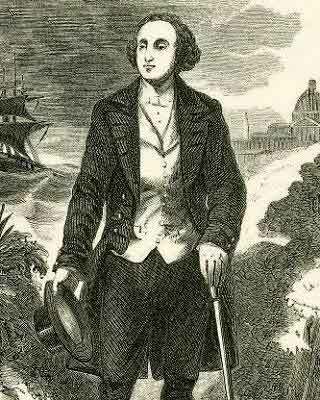 He became a shipowner and successful merchant, retiring from business in 1794. A History of the Cabots of Boston: The Boston Brahmin Cabot family descended from John Cabot (1680- ) who emigrated to Salem, Massachusetts in 1700. He and his son Joseph, born in Salem in 1720, became highly successful merchants, operating a fleet of privateers carrying opium, rum, and slaves. 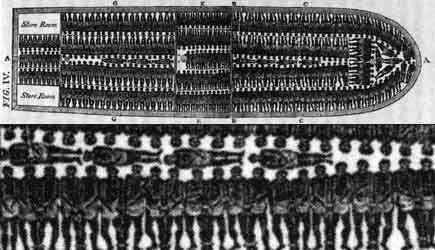 Until 1793 Perkins engaged in the slave trade at Cap-Haïtien Haiti. 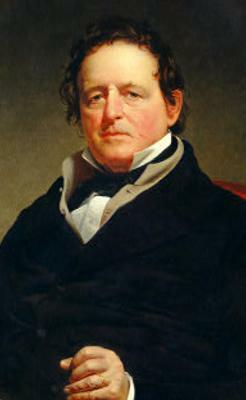 In 1785, when China opened the port of Canton to foreign businesses, Perkins became one of the first Boston merchants to engage in the China trade. 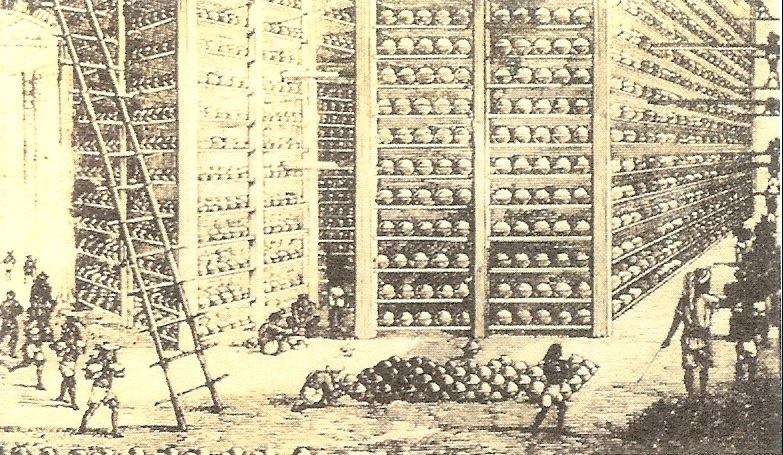 He sailed on the Astrea to Canton in 1789 with a cargo including ginseng, cheese, lard, wine, and iron. On the trip back it carried tea and silk cloth. In 1815 Perkins and his brother James opened a Mediterranean office to buy Turkish opium for resale in China. 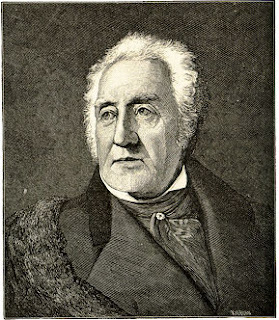 Shipping during the 18th century was the lifeblood of most of Boston’s first families, who usually got their start with the help of Colonel Thomas Perkins. Joseph’s sons, Joseph Cabot (1746 - ), George Cabot (1752- ), and Samuel (1758- ), all born in Salem, left Harvard to work their way through shipping, furthering the family fortune and becoming extraordinarily wealthy. The Forbes family: The Forbes family is a wealthy extended American family long prominent in Boston, Massachusetts. The family's fortune originates from trading between North America and China in the 19th century plus other investments in the same period. The name descends from Scottish immigrants, and can be traced back to Sir John de Forbes in Scotland in the 12th century. 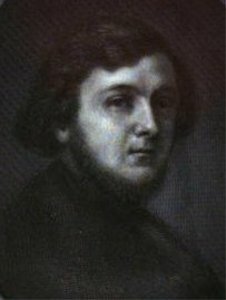 Portrait of Howqua, by George Chinnery, 1830. 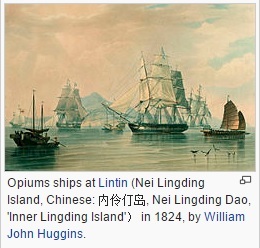 Perkins & Co., like many other Boston trading firms in the early 19th century, sent ships to China to get tea for sale in America (although some was ultimately re-exported to Britain and Europe). 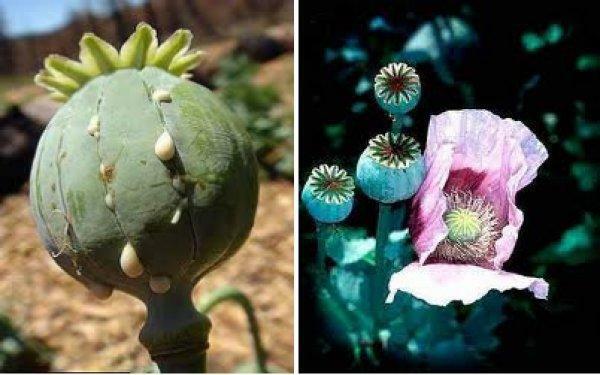 To pay for the tea, they exported to China large quantities of silver and also furs, manufactured goods, cloth, wood, opium and any other items that they thought the Chinese market would absorb. 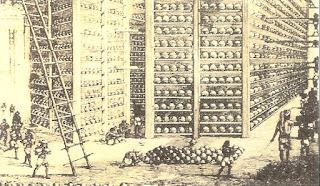 Active trading houses, particularly those from Boston, usually kept representatives resident in Hong Kong whose main role was to look for and secure quality tea for export at good prices. This was John Murray Forbes' main job during the two years he spent in China (Gibson 2001; Malloy 1998). John Murray Forbes' brother, Robert Bennet Forbes, was more intimately involved in the importing side of the business and, at least by their own writings, had a more direct role than did John in the opium trade. 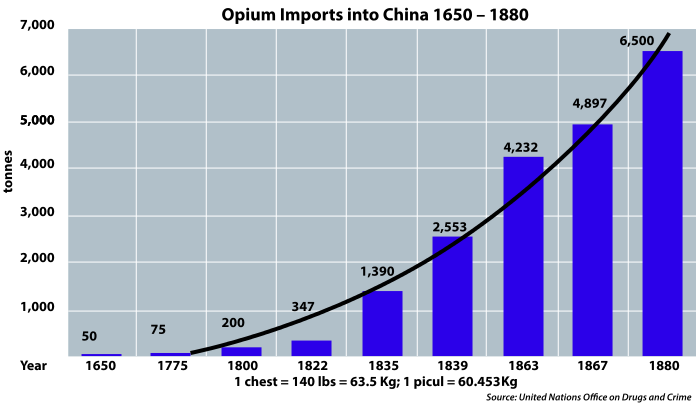 (Kerr 1996; Hughes 1899). 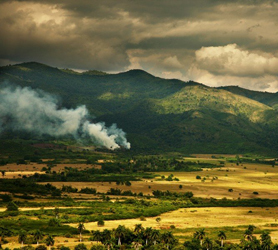 Valle de los Ingenios: or Valley of the Sugar Mills, is a series of three interconnected valleys about 12 kilometres (7.5 mi) outside of Trinidad, Cuba. 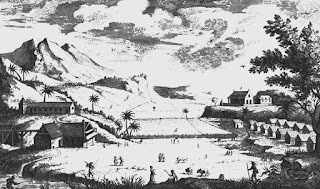 The three valleys, San Luis, Santa Rosa, and Meyer, were a centre for sugar production from the late 18th century until the late 19th century. At the peak of the industry in Cuba there were over fifty sugar cane mills in operation in the three valleys, with over 30,000 slaves working in the mills and on the sugar cane plantations that surrounded them. The entire area covers 270 km2 (100 sq mi) and includes the sites of over 70 former sugar mills. In the 19th century Cuba rose to become the richest land in the Caribbean (with sugar as its dominant crop) because it formed the only major islandlandmass free of mountainous terrain. Instead, nearly three-quarters of its land formed a rolling plain — ideal for planting crops. Cuba also prospered above other islands because Cubans used better methods when harvesting the sugar crops: they adopted modern milling methods such as watermills, enclosed furnaces, steam engines, and vacuum pans. All these technologies increased productivity. 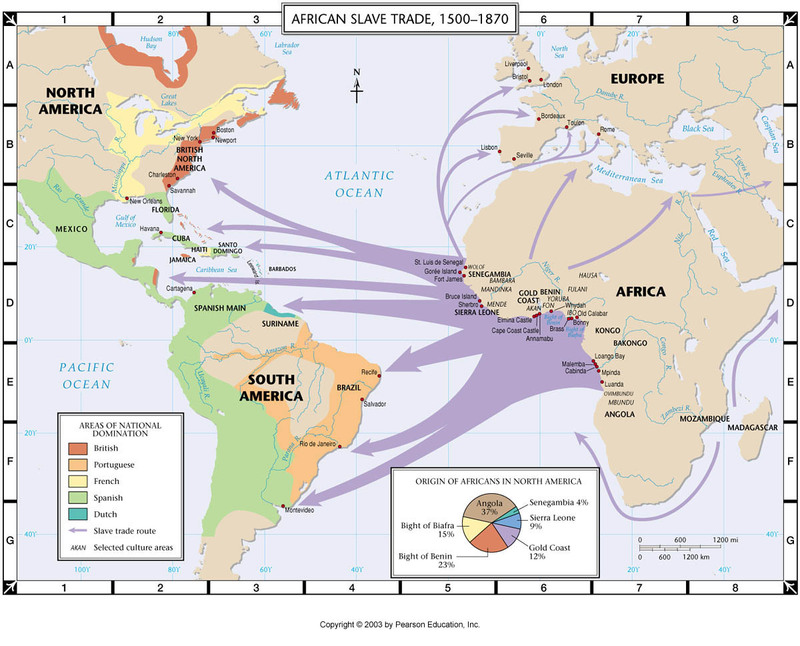 Cuba also retained slavery longer than the most of the rest of the Caribbean islands. When the Persian Emperor Darius invaded northwestern India (6th century BC), the Persians encountered sugar bringing it further west. The Arab Islamic outburst resulted in the creation of a vast empire--the Caliphate (7th century AD). The Arabs encountered sugar in Persia and spread it throughout their empire as far west as Spain. It was during the Crusades, however, that European elites first became aware of sugar. The Arabs continued to control the sugar trade for several centuries after the First Crusade. The word sugar (azucar in Spanish) is of Arab origins. Arab control meant that quantities were limited in Europe and hugely expensive. Only a few areas in Europe were suitable for growing sugar cane. This changed with Columbus' discovery of the Americas and the colonization of huge areas in the tropical zone that were suitable for growing cane. 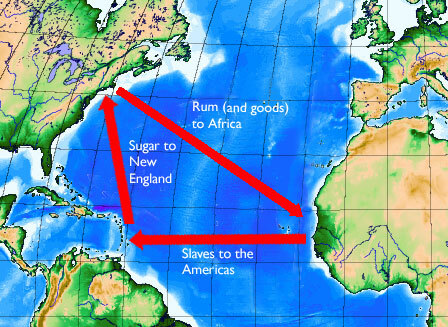 This set in motion both a sugar boom and the Atlantic slave trade. 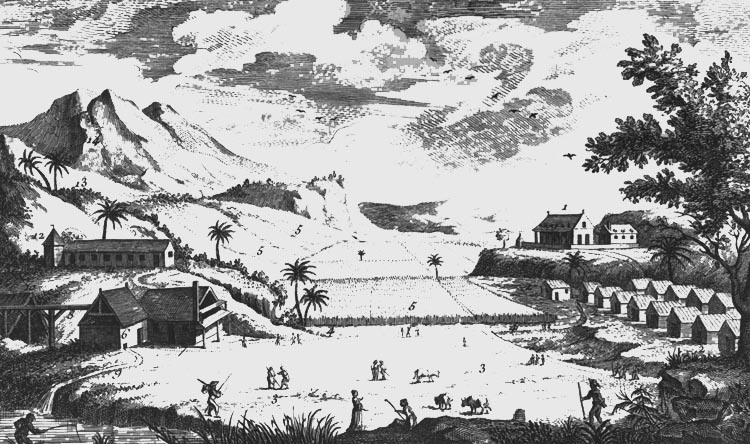 Large scale production began in Brazil (17th century), but soon spread to the Caribbean. The European sweet tooth made tiny Caribbean islands some of the most valuable real estate in the world.